- Every year charity: water celebrates its birthday with the September Campaign. 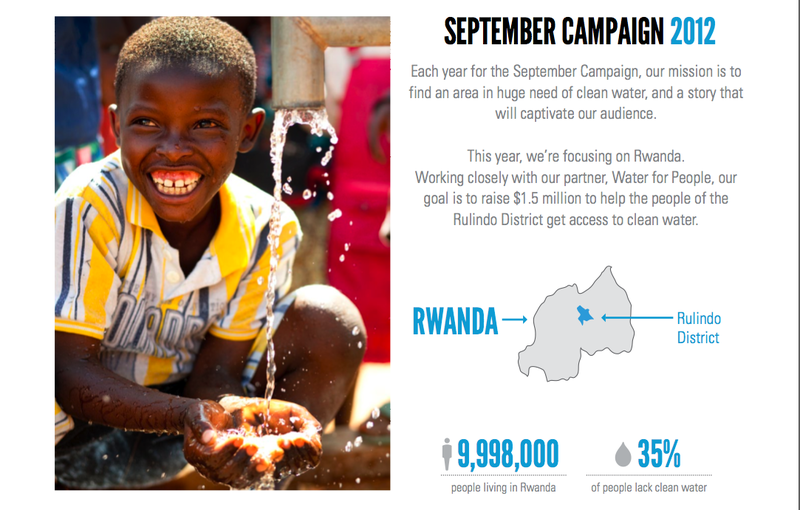 This September, charity: water Penn State will join charity: water's mission to provide clean water to everyone in the Rulindo District in Rwanda! No previous events. Please check back later.